Today's world is a challenging one for ocean conservation. On top of all the competing or opposing interests and the need to better communicate the importance of ocean conservation to the general public, we have the crushing burden of limited finances due to struggling and fragile economies. Obviously, the worldwide economic downturn has rained havoc on many industries and the lives of many people have been turned upside down. Therefore, charitable donations are down significantly and government or private foundation funding has been severely cut back. David Diley of From the Office to the Ocean has produced a short film, A Ray of Light, that highlights this predicament. 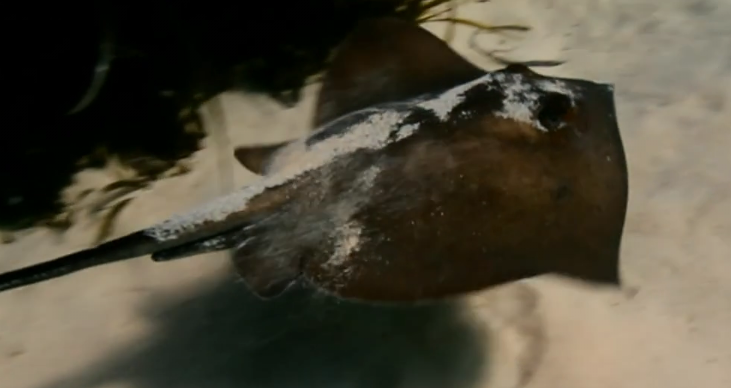 In Spain, one of the Eurozone nations currently being racked by economic problems, in the island of Mallorca, a small scuba diving operator, Brad Robertson has taken it upon himself to study a large population of stingrays that seem to frequent the area. Do they do so because of some sort of ideal habitat? Are they there for breeding? Is the feeding particularly good? These are questions he hopes to answer. He is taking it on himself because there is no government interest (ie: funding) and these rays are exposed to local fishermen, even in supposedly protected areas. A Ray of Light from David Diley on Vimeo. The Mediterranean has suffered terribly over the years - tuna and shark populations, as an example, have been decimated - to the extant that Jacque Yves Cousteau once declared the Mediterranean as un-salvageable. In the mid-80's I was working on a film, Navy Seals, in Spain and while diving in the Mediterranean I was completely taken aback by how desolate it was. No fish, no seaweeds, nothing save for one seastar grazing on algae. However, there are little pockets of hope and Brad Peterson is hoping to understand and protect one of them, the stingrays in Mallorca, as it benefits not only the local ecosystem but also helps support dive tourism when there is any improvement in marine life. These are challenging times for ocean conservation. In a recent tweet, Dr. Sylvia Earle said, "It is the worst of times but it is the best of times because we still have a chance." David Diley wants us to see what people like Brad Robertson are actively doing to preserve the oceans even at a time when ocean conservation would seem to be low on a list of world priorities.